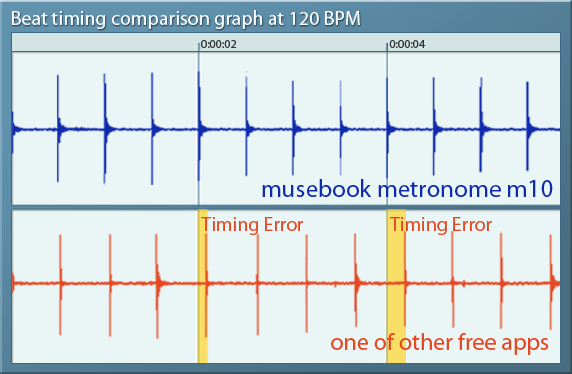 This is a beat timing comparison graph at 120 BPM of musebook metronome m10 and one of other free metronome apps. It shows m10's beat timing is very precise but the other is not.. 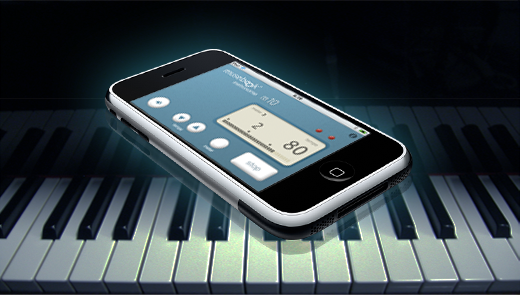 Requires iPhone OS 2.2.1 or later. 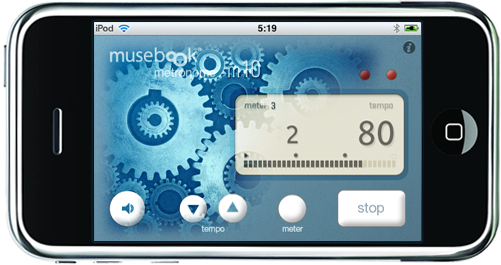 musebook metronome m10 for iPhone and iPod touch is the most accurate metronome app, even more accurate than the other non-free metronome apps.